Personalize your messages: When sending follow-up messages, personalize your communication. Refer to your customers by name. Personal contact builds solid relationships. Maintain simplicity and readability: Keep messages simple and easy to read. If using a graphic design-centered layout, keep it clean, uncluttered and easy to navigate. Time it properly: Carefully time your client follow-up messages for maximum effect. A plumbing services company, for example, might want to follow up shortly after a service call. An automobile dealership might follow up within a week or two to see how the customer likes the new car. Thank your customers: Customers like to feel appreciated and prefer to do business with a company that values them. When you take the time to sincerely thank your customers for their business, you’ll build a solid emotional connection and inspire loyalty. Request feedback: Where possible, reference the transaction you’re following up on and ask if they have any questions or issues. 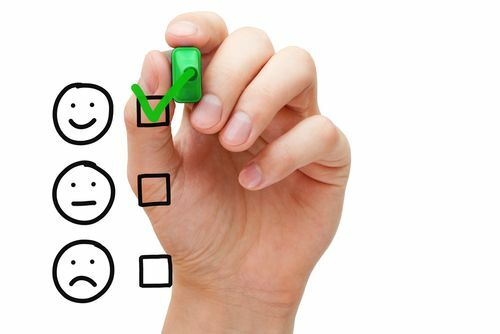 Offer satisfaction surveys and request an evaluation of their experiences with your staff, products or services, and any departments they dealt with during their transaction. Provide rewards: Offer a reward, such as a discount or special access, for those who respond to surveys. Occasionally send rewards to your customers “just because.” It will help them feel appreciated and will build considerable goodwill toward your company. Welcome them back: Make sure your customers know you welcome their return. Provide opportunities for customers to purchase additional products, contact your company for more information or get quotes and estimates. Include plenty of calls to action and opportunities to contact you or visit your website, blog or social media pages. Does your client follow-up program engage your customers, attract their attention and encourage them to return to your store or website?